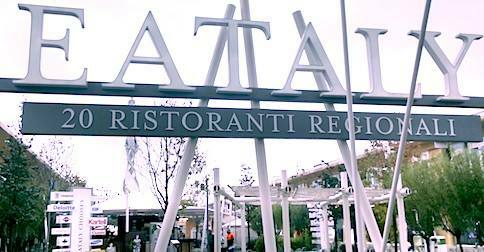 On my recent trip to Italy I encountered for the first time the restaurant and retail brand Eataly. It hasn’t come to Britain yet, though there are branches in the US and Japan. This is a ‘portmanteau’ word, like infotainment or Oxbridge. Given the justified fame and popularity of Italian food, it’s instantly communicative. The name was cooked up and registered as a domain name and trademark back in 2000, by savvy Italian brand strategy consultant Celestino Ciocca. Some years later he sold it to the entrepreneur behind Eataly. In terms of pronunciation, there’s an extra level of fun to this blend of words. Italy begins with the short-lax KIT vowel /ɪ/. Eat on the other hand begins with the long-tense FLEECE vowel, /iː/ (often pronounced as a diphthong, ɪi or ɪj). The contrast between these two vowels differentiates many words of English, eg it and eat, fill and feel, rich and reach. But it’s a major challenge for many learners, because so many languages lack a contrast of this type and have only a single corresponding i vowel. Italian is one such language. When speakers of such languages say English KIT words with their i, it often sounds to native ears like FLEECE. 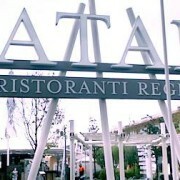 This means that when Italians say Italy, it can sound to English speakers like ‘Eataly’. I don’t know whether Celestino Ciocca had this feature in mind in the first place. A ‘brand strategy consultant’ is presumably more sensitive to linguistic nuances than many, but Mr Ciocca’s English-language webpage on Eataly is decidedly non-native. It starts with an odd use of the perfective, makes strange use of words like differentiating and trivial, trips over the do/make distinction, etc. I’ve sold to Mr. Farinetti the perfect name to promote Italian Food worlwide and I’ve created the differentiating “memorable experiences” to be offered to customers besides trivial “excellent products”. These are the main contributions I’ve done to this great project. Personally I rather like the idea that the phonetic pun was unintentional. Either way, Mr Ciocca must be laughing all the way to the bank. Many thanks for your savant analysis of the linguistic characteristics of EATALY… and for the welcome corrections to my website contents. struggling for years with Latin and ancient Greek) can invent effective neologisms in English.